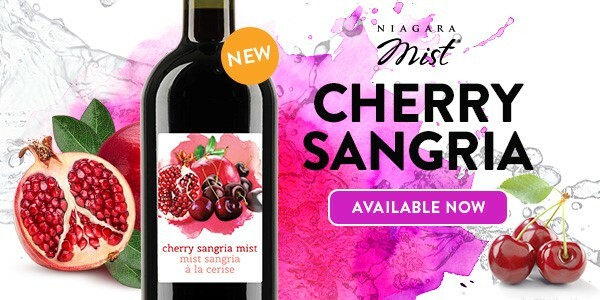 Here you will find ongoing announcements about exclusive wine kits, monthly specials and other exciting options. Please check back often! Join us as we celebrate, and say THANK YOU to you, our valued customers. ON ALL REGULAR PRICED WINE KITS! As an ongoing and heartfelt Thank You to our loyal customers, we offer a ‘Buy 10 Get One FREE’ promotion. The concept is simple, of course – when you have purchased 10 wine or beer kits, you’ll get an 11th of your choice (of equal or lesser value) for free! 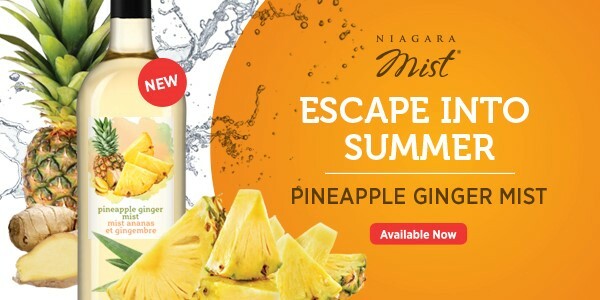 Juicy pineapples and fragrant ginger lead the way to rich exotic flavours. 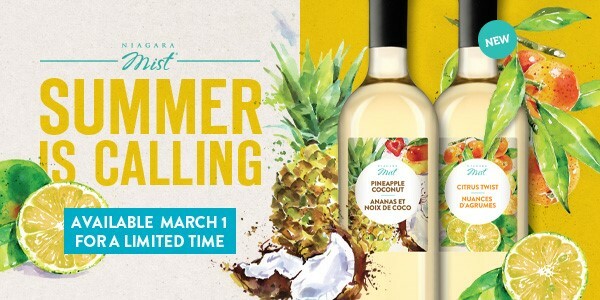 With a perfect balance of sweet tart pineapple and slightly spiced ginger, this lively and crisp wine will have you dreaming of white sand beaches with every sip. Enjoy lightly chilled to enhance the sweet to spice. 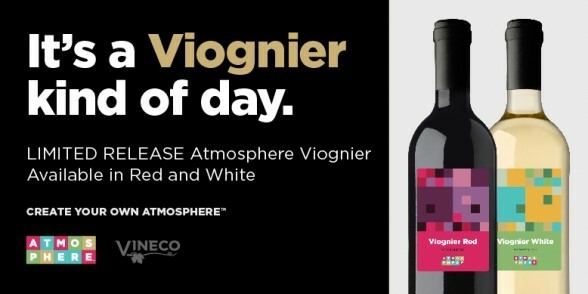 Get ready to have the best Viognier day with two new Atmosphere blends. 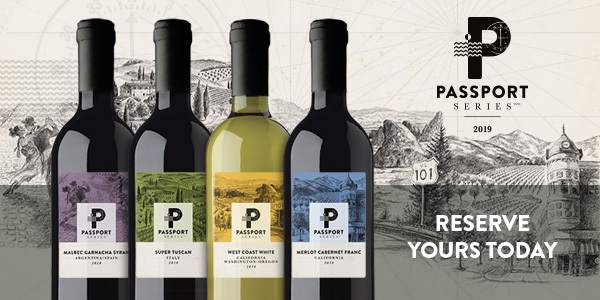 This perfumed varietal adds aroma and flavour to both red and white blends creating truly memorable wines. 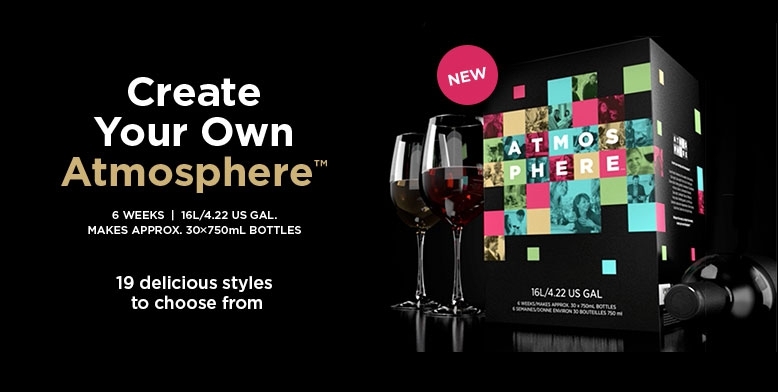 Each 16L wine kit makes 30, 750 ml bottles of premium wine (23 litres) in 6 weeks. Blackcurrant, light oak & spicy aromas. Bold, juicy black fruit, vanilla oak, & subtle cedar notes. 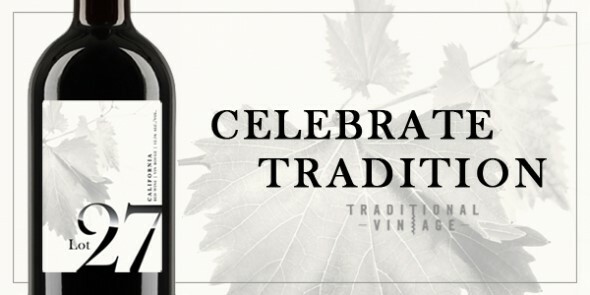 Cherry & black fruit aromas with flavours of blackcurrant & plum, vanilla oak & firm tannins. Vibrant blend of rich black fruit, raspberry, & plum; subtle mocha, spice, oak, & velvety tannins. Plum & red currant aromas with soft plum, & cherry flavours; vanilla & light spice on the finish. Lively, complex palate of red cherry, strawberry,& licorice, with fleshy tannins, & a long finish. Rich with lychee, white peach, & subtle candied ginger, accented by floral & spicy aromas. Fresh, light, aromatic, & floral; soft fruit flavours of white peach, stone fruits, & green apple. Crisp, fresh with delicate floral aromas; green apple on the palate. Subtle mineral, citrus & tropical fruit flavours. Classic flavours of gooseberry, grass, passion fruit, & white peach, with a crisp, elegant finish.